Standing on a platform raised 35 feet above the ground, Ammed Tuniziani picks up a porous fabric bag; tapping it several times and rubbing his hands with the exuding white chalk powder. 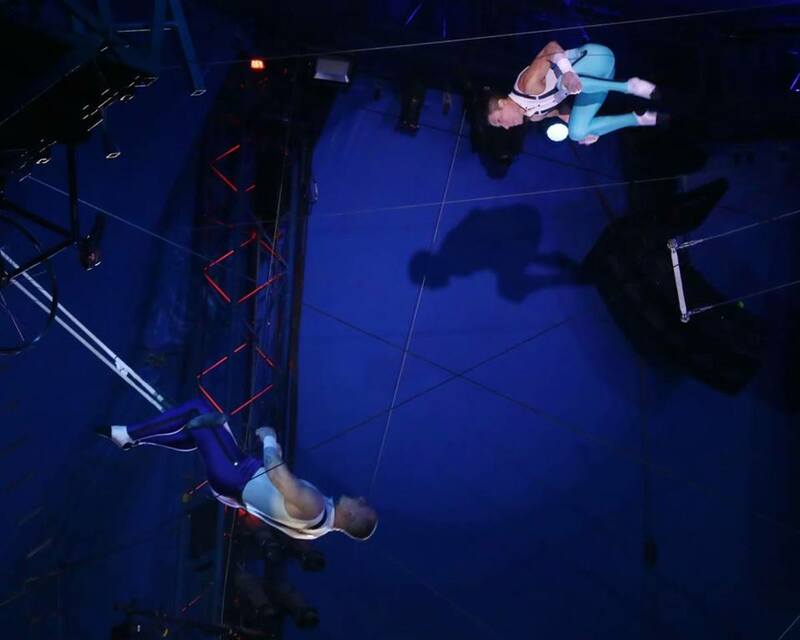 Tuniziani’s wife and partner, Estefani Evans, pushes the trapeze bar back and forth as Ammed gets ready to take his initial swing. 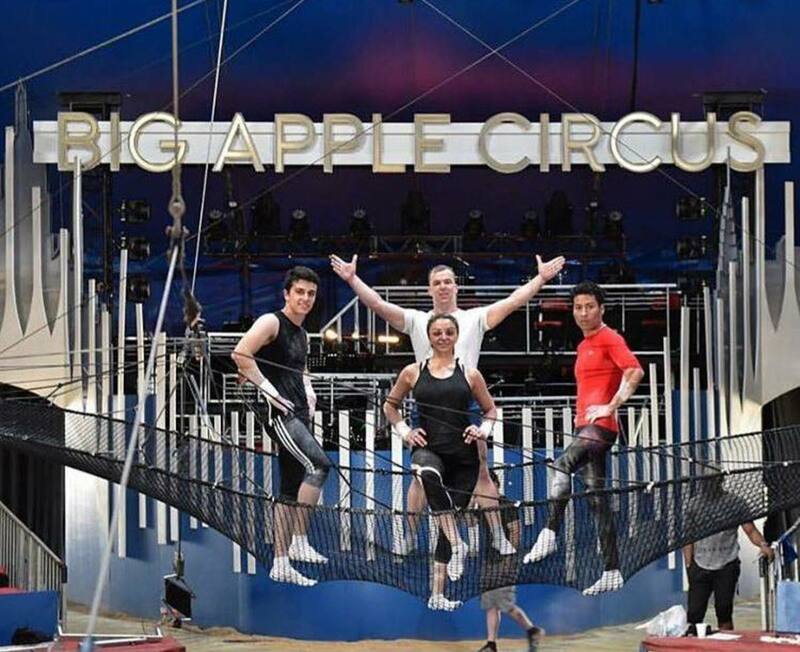 Members of the Flying Tuniziani—Ammed, Estefani, Mauricio Navas and catcher Adriano de Quadra—perform amazing trapeze feats with Big Apple Circus. 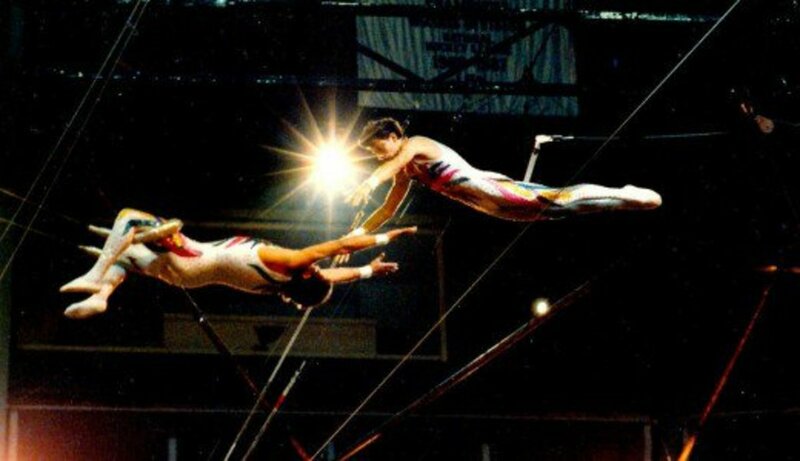 The flyers use this white, talcum-like substance for providing a smooth grip on the bar. Getting into position on the platform, Ammed Tuniziani takes hold of the bar and swings; launching his body into an upward arch for height, speed and momentum. On the second swing, Tuniziani releases the trapeze—he spins four times through the air toward the waiting hands of catcher Adriano de Quadra. As all trapeze aficionados know, this is a grand feat that only a few human beings have ever achieved. 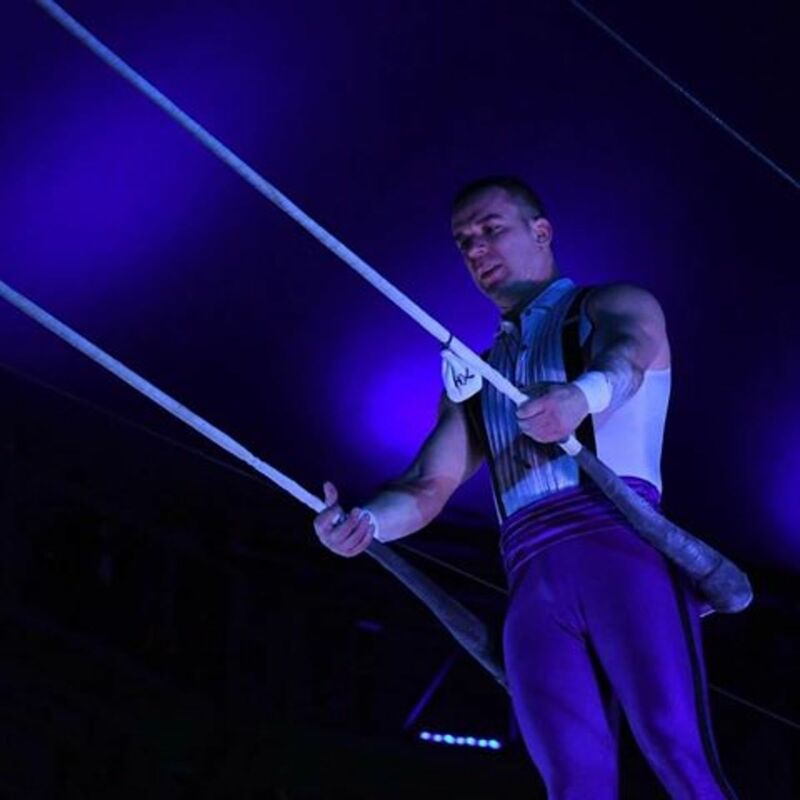 Ammed Garcia—or, Ammed Tuniziani as he is most famously known—is a third generation circus performer and trapeze artist; born in the summer of 1990 to Jose (Dandino) Garcia and Fatima Janette Maltese in Chetumal, Quintana ROO (Mexico). Why the name ‘Tuniziani?,’ I asked. Ammed Tuniziani began his training at age 7 at Circo Atayde Hermanos in Mexico. “Our coach, Raul Gaona, taught me for the first five years of my career,” Tuniziani recalled. 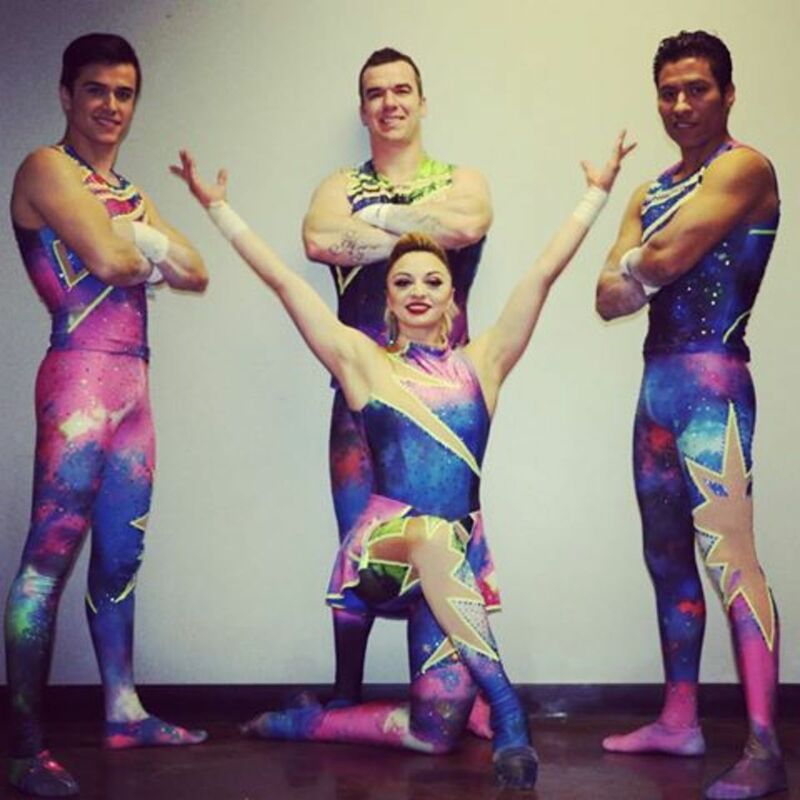 “After that my second oldest brother, Abdon Garcia, was the one who taught me up until 2014, our last season together at Ringling Bros. He moved on after that and I stayed with Ringling until it closed in May of 2017. Teenage Tuniziani — thinking about the trapeze! 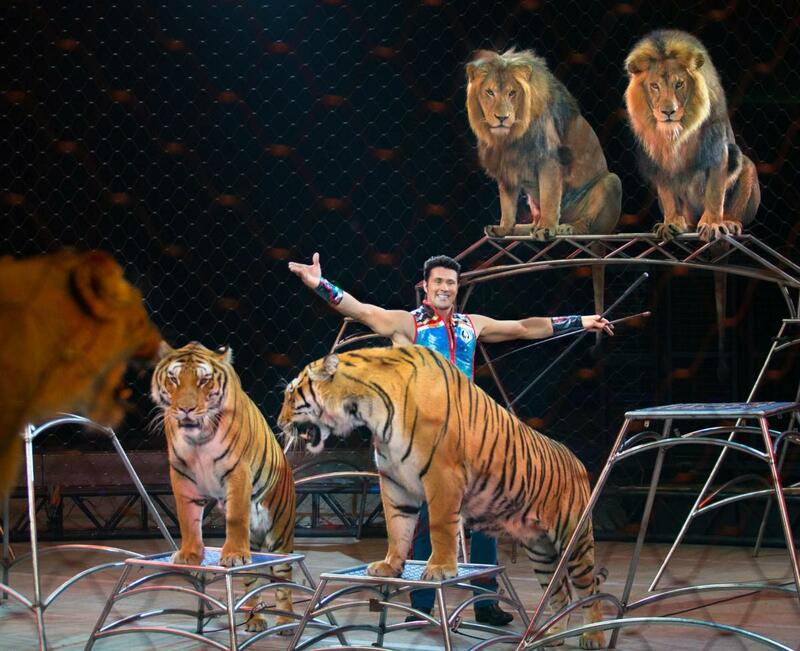 Ammed Tuniziani’s parents were no strangers to a circus ring. His mother, Venezuelan-born Fatima Janette Maltese, was a floor acrobat. 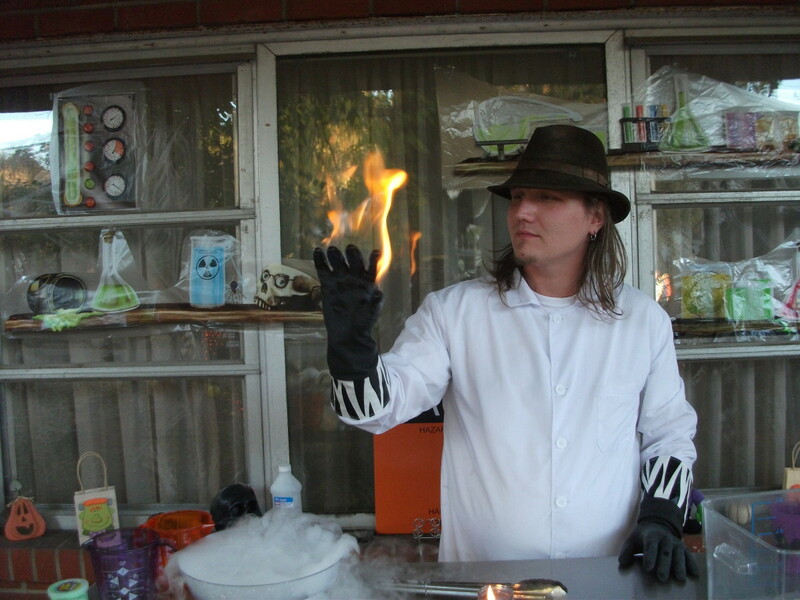 Ammed’s father was an illusionist who also worked in theater and Las Vegas stage shows. Knowing that Mexican circuses—large or small—were sure to have trapeze acts, Jose Garcia and his family returned to Mexico in 1990. 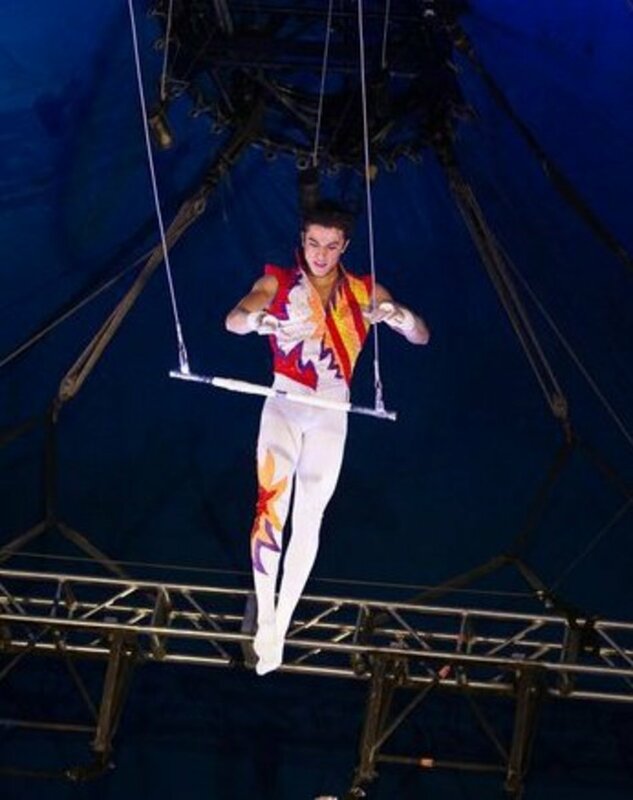 It was the year 2000 when young Ammed Tuniziani began his career as a flyer; he and his family traveled to Italy to become part of Torino’s Circo Florilegio. 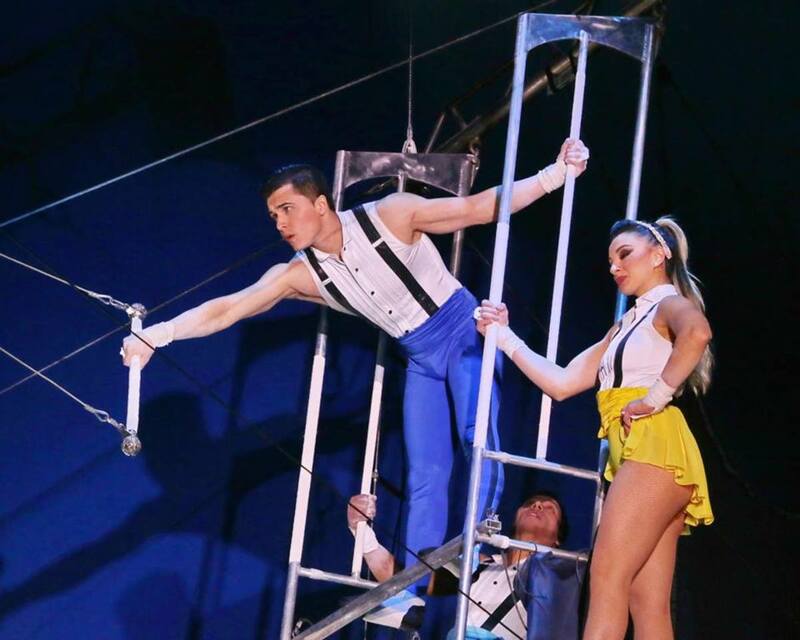 After one year with Florilegio, the Tunizianis returned to Mexico to perform with Circus Vazquez. 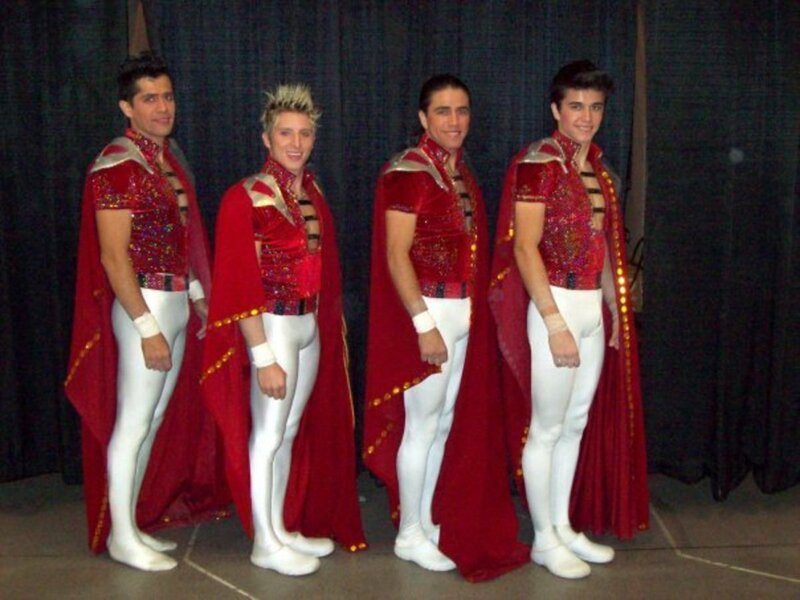 In 2003, the Flying Tuniziani came to America; touring in the United States with Circo Osorio and a number of other shows. “It’s hard to remember all the shows we’ve done since I started,” Ammed Tuniziani told me, “because, honestly, there were so many of them. 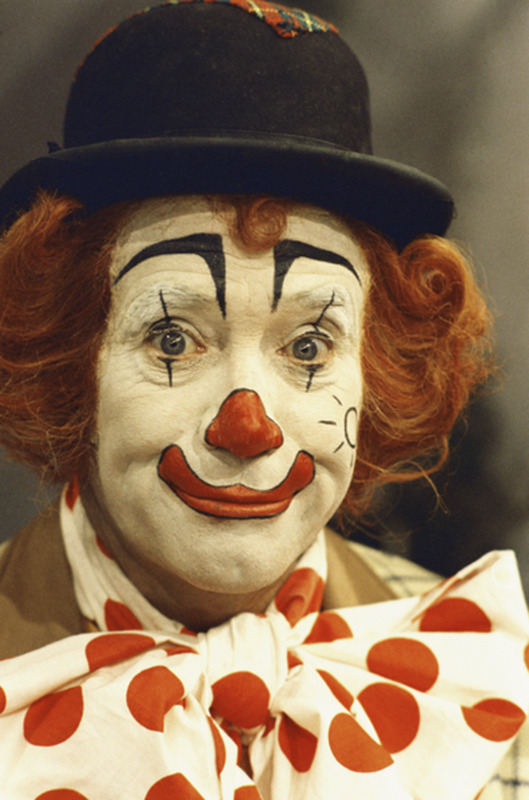 For about five years, we did more than 10 circus shows. But when we came to the United States we performed with Hanneford, Coronas, James Plunket, Tarzan Zerbini, Joe Bauer, and a number of ‘spot’ dates from 2003 to 2006. We were at Circus Circus (casino) in Las Vegas in 2007 and 2008." 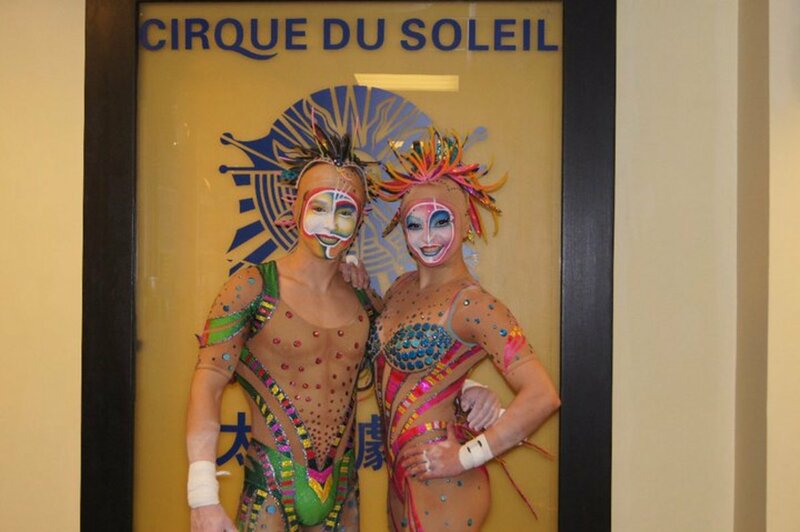 “In 2010, I joined up with Cirque du Soleil for the ‘Zaia’ show in Macau, China—that lasted until February, 2012. 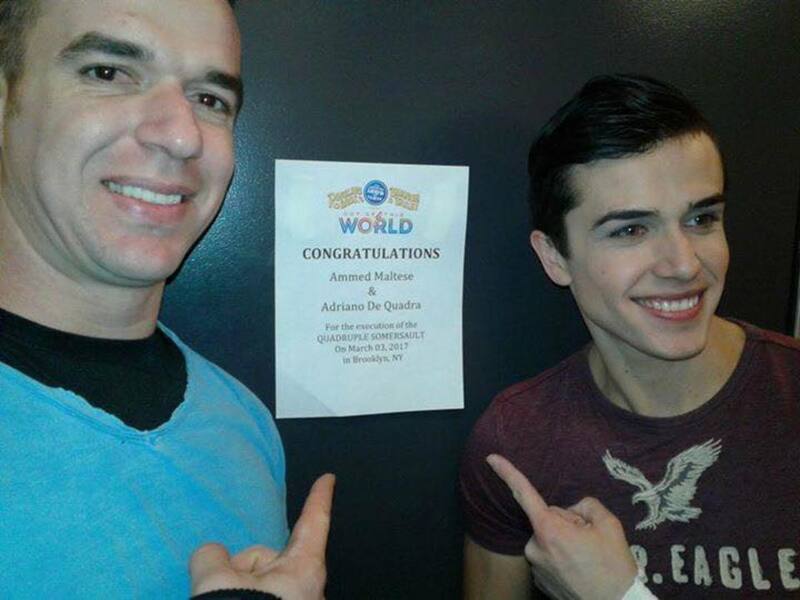 From October, 2012 to November, 2013, I was with a cirque show in Las Vegas called ‘Mystere,’” Tuniziani added. In July of 2013, producers from Feld Entertainment, the owners of Ringling Bros. and Barnum & Bailey Circus, sought out the Flying Tuniziani for The Greatest Show on Earth. 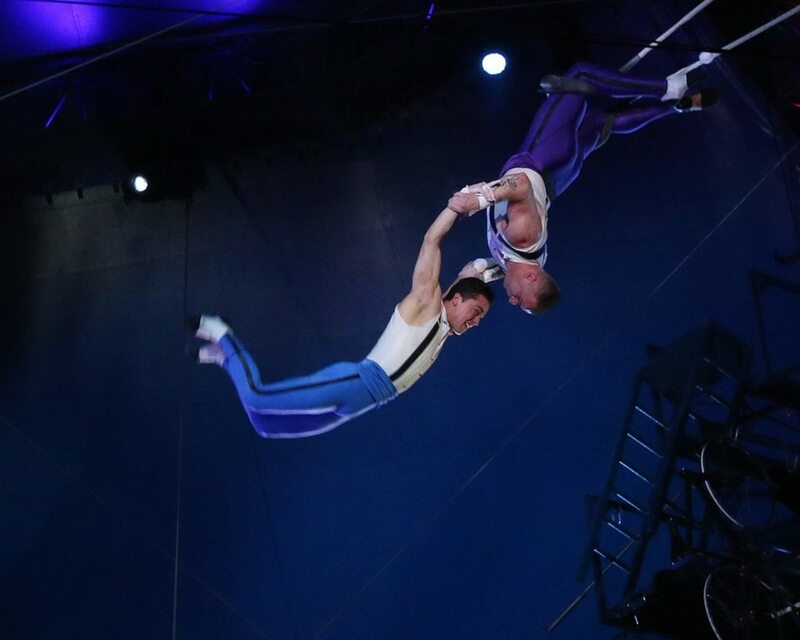 Then dubbed ‘Solar Hawks’ by Ringling, the aerialists developed a doublewide trapeze stunt featuring four consecutive triple somersaults in mid air. 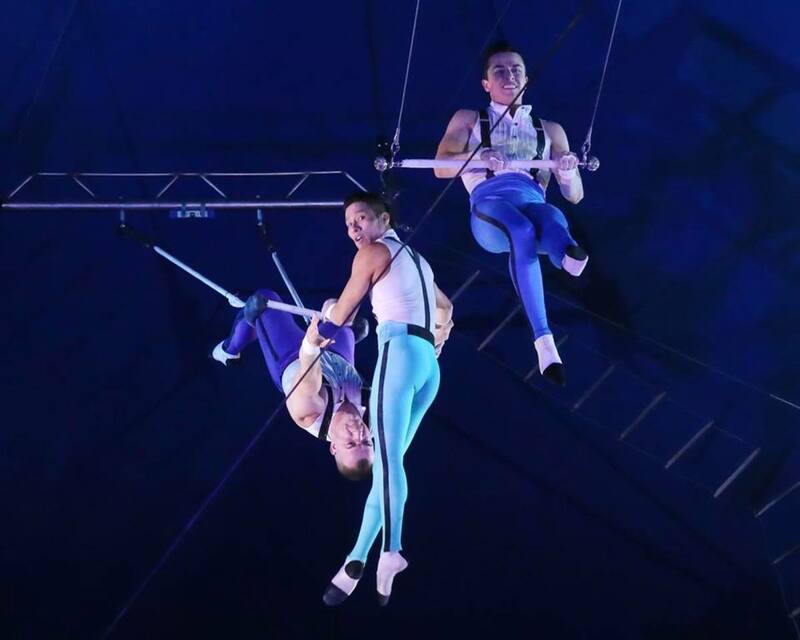 Ammed and the Flying Tuniziani performed in Ringling’s ‘Legends’ show during 2014 and 2015, and then with the ‘Out of This World’ tour that began in the summer of 2016. The Ringling circus show closed permanently in May of 2017. Ammed Tuniziani has perfected many difficult tricks throughout his flying career—a double-twisting double somersault, triple tuck, and triple pike—just to name a few. On October 6, 2016, while practicing with the troupe in Denver, Colorado, he completed his first quadruple somersault; a feat that only a few men have ever been able to do. 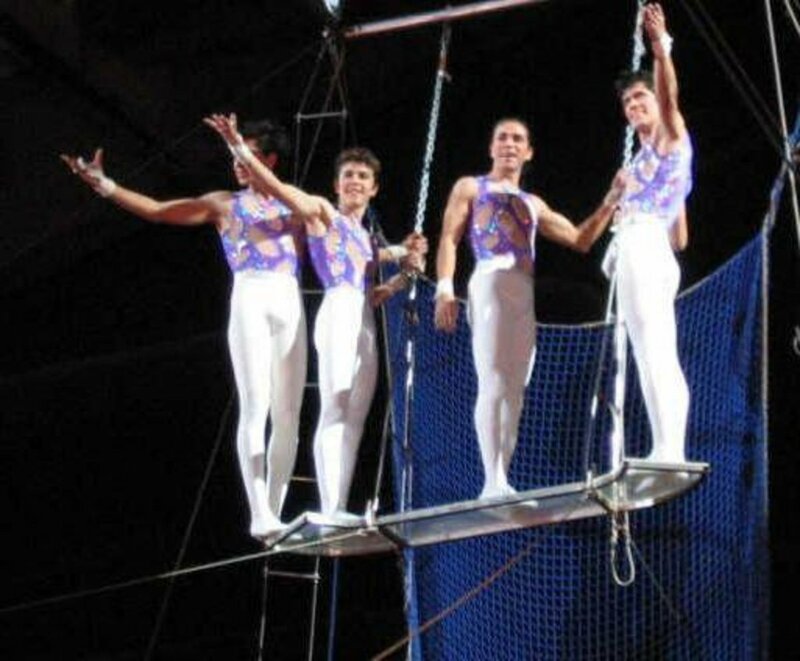 In the months to come, lucky audiences were able to see the young trapeze artist throw the quad rather frequently; the Flying Tuniziani added it to their act with Ringling Bros. and Barnum & Bailey Circus. 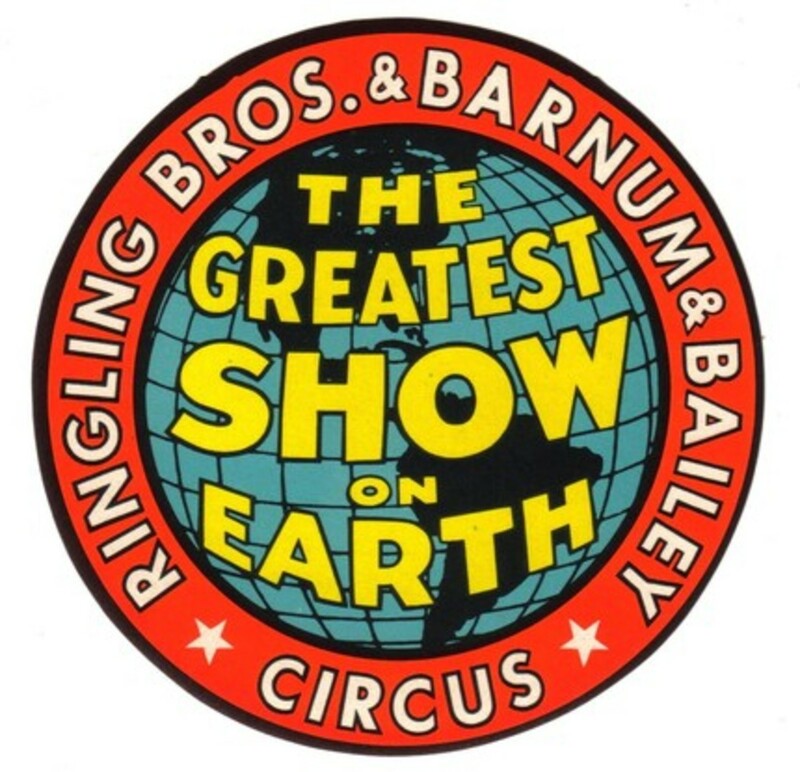 In January of 2017, the producers of Ringling Bros. and Barnum & Bailey Circus announced that after 146 years, the iconic show would celebrate its final performance on May 21, 2017. Ammed and the Flying Tuniziani would no longer perform for The Greatest Show on Earth, but they weren’t through in America—not by a long shot! 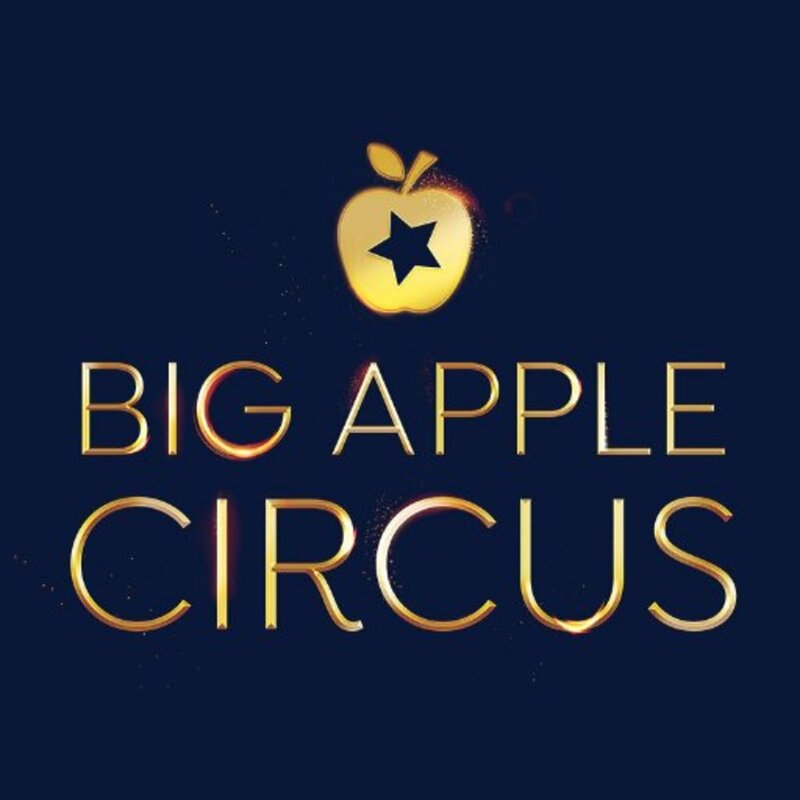 In September of 2017, the troupe began rehearsals with Big Apple Circus and has been flying high ever since. Ammed Tuniziani says he hopes to fly with Big Apple Circus for many years to come. 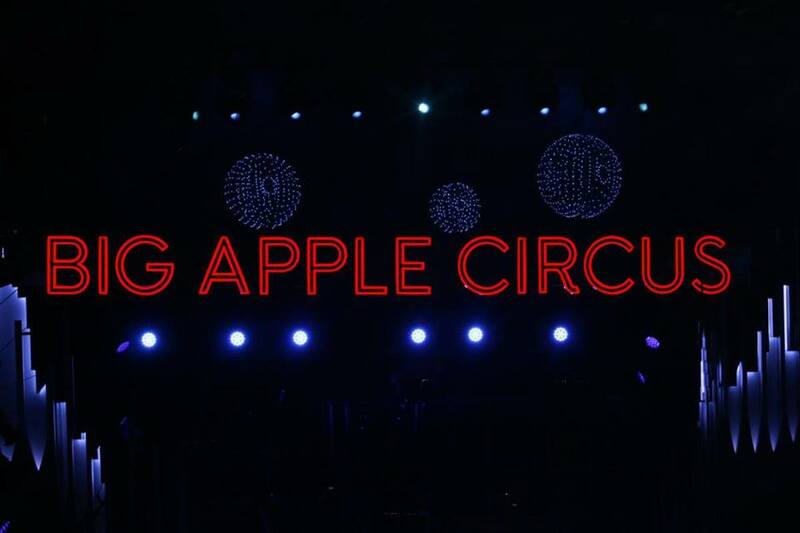 Big Apple Circus was first established in 1977. 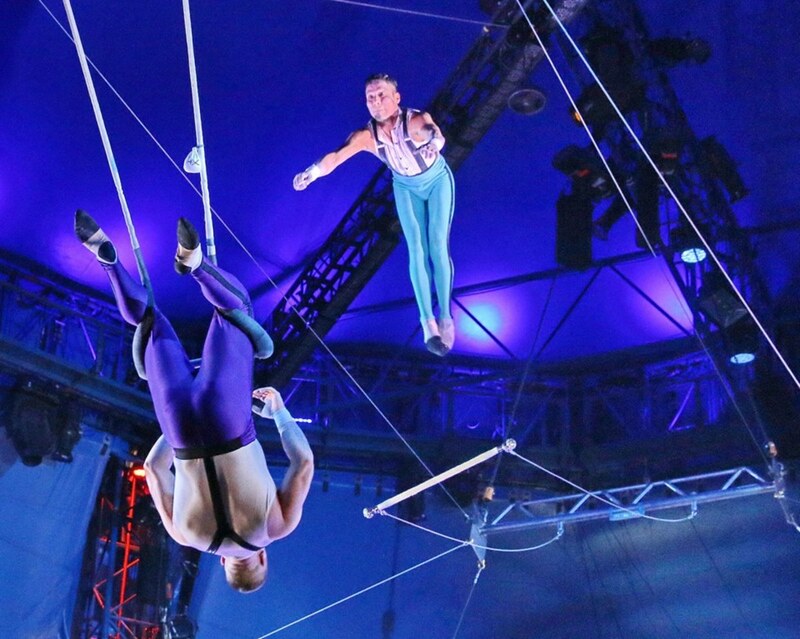 The company filed for bankruptcy protection in 2016, but a business entity purchased the show—it is now produced by an organization called Big Top Works. After spending the autumn and 2017 holiday season performing in New York City’s Lincoln Center, the show is now touring in select U.S. cities. 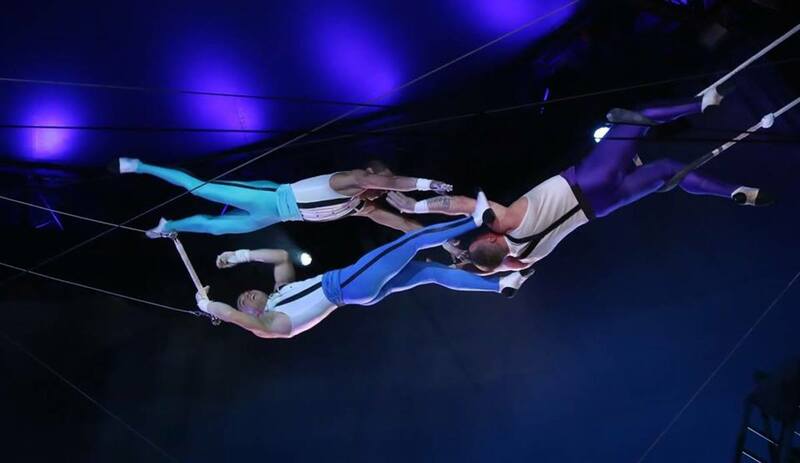 For more information, visit Big Apple Circus or call (646) 793-9313. 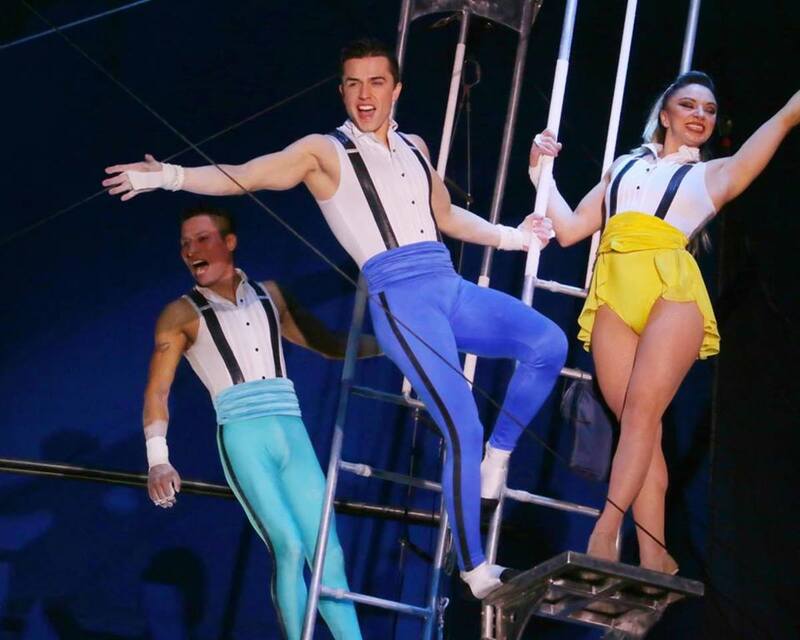 What is it like to be a trapeze flyer? How does one train for this specialized career? I asked Ammed Tuniziani how he and the Flying Tuniziani prepare for life in the air. What is your workout and training routine? What do you eat? When? I don’t have a very strict diet but I do try to eat as healthy as I can—not too much red meat, for example," Ammed explained. "We eat at home as much as possible so instead of going out, my wife (Estefani Evans) will cook for us. On performance days, I usually eat at least two hours before we present our act and after that, I don’t eat anything at all. 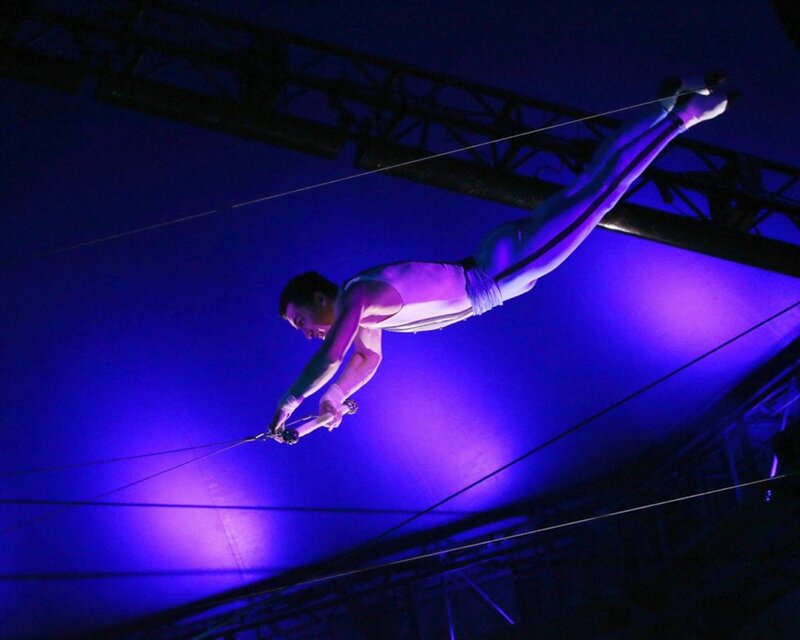 What is it like to be up on the trapeze platform? “For me, it’s like living my dream and making that dream come true every single time," Ammed Tuniziani says excitedly. "It’s what I’ve sacrificed so much for, and what I have been doing ever since I can remember. Hard to describe, really, but I am the most comfortable up on that platform, and I feel like I’m on top of the world. Why and how do you tape your hands? 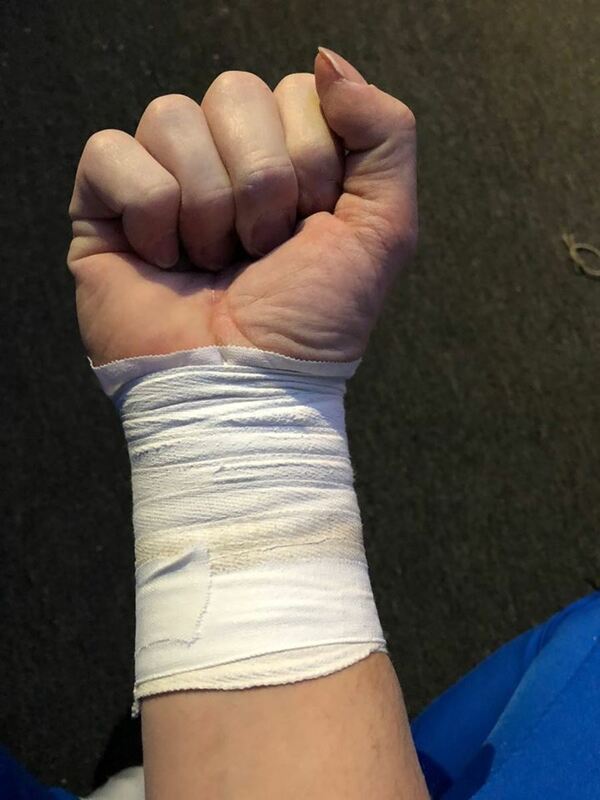 “I use Jaybird adhesive tape underneath grip pads and bandages; I have it wrapped around my wrists. The tape protects my skin from splicing open or developing blisters, and it keeps bandages firmly in place so they don’t slip … especially if my palms are sweating. I have two wraps of bandages—the first one goes on top of the tape. Trapeze flyers tape their wrists to keep from sliding out of the catcher's hands. 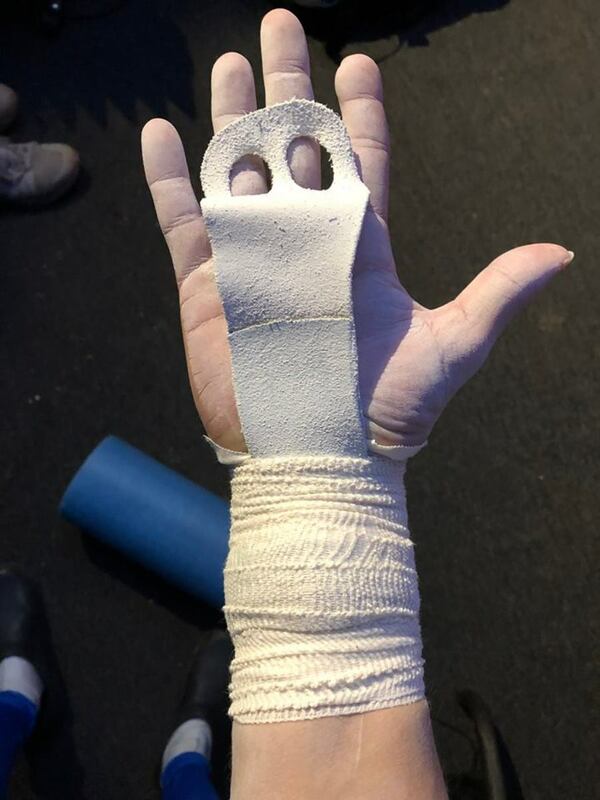 Soft yet sturdy, these pads protect the hands from callouses and skin damage when gripping the trapeze bar. Of all the tricks you do, what is your favorite? What are you, Mauricio and Estefani working on in practices? How do you work out new tricks? Is there a special way to fall into the net? Ammed Garcia Tuniziani met the love of his life, Brazilian-born Estefani Evans, in October of 2010. 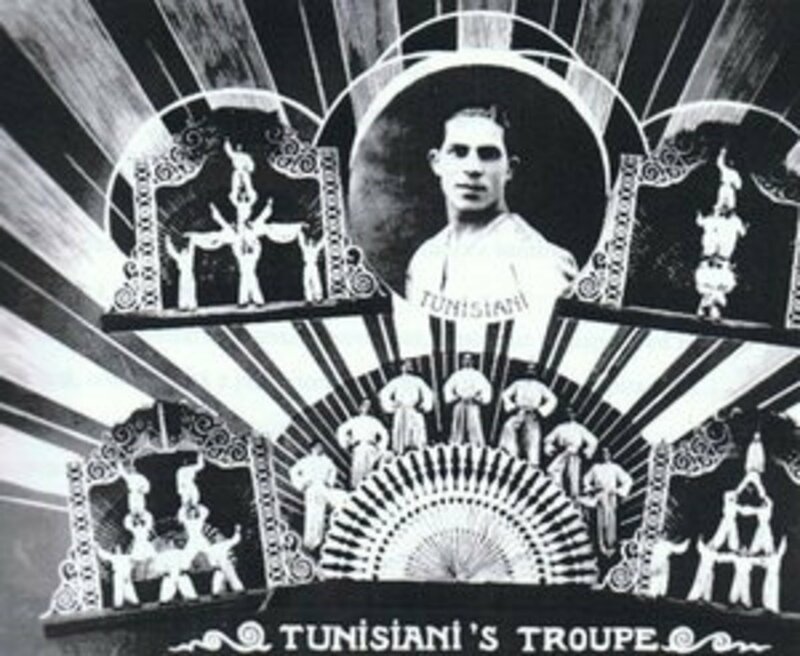 For the troupe’s first contract with Cirque du Soleil (‘Zaia’), the Flying Tuniziani wanted to add more players for its doublewide trapeze tricks. “Yeah … " Estefani said laughing, "he’s OK."
A native of Brazil, Estefani Evans began her career as a contortionist but it wouldn’t be long before she heard the trapeze calling. Estefani Evans remembers that day in 2010 when she first met Ammed Tuniziani. “When I first saw him, well, you know it … it was love at first sight. I remember thinking how comfortable he looked in the air and how easy it was for him. And, yes, that he was pretty cute,” she smiled. 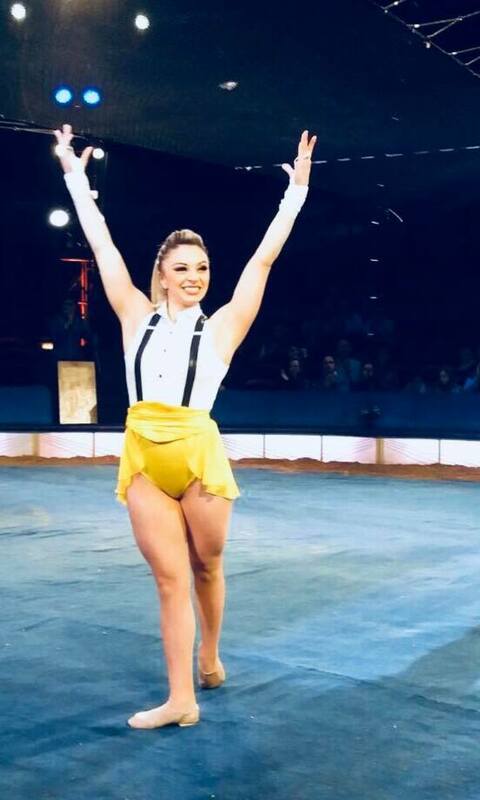 As an aerialist with the Big Apple Circus, Estefani Evans has her own specialty act—gracefully spinning and twisting on a lira hoop. It takes some strength and practice, says Estefani, but it is all part of her day as a working mom. And, as such, ‘Lady Tunizani’ balances her professional life with keeping a home and raising their two young children, Davi and Alysha. 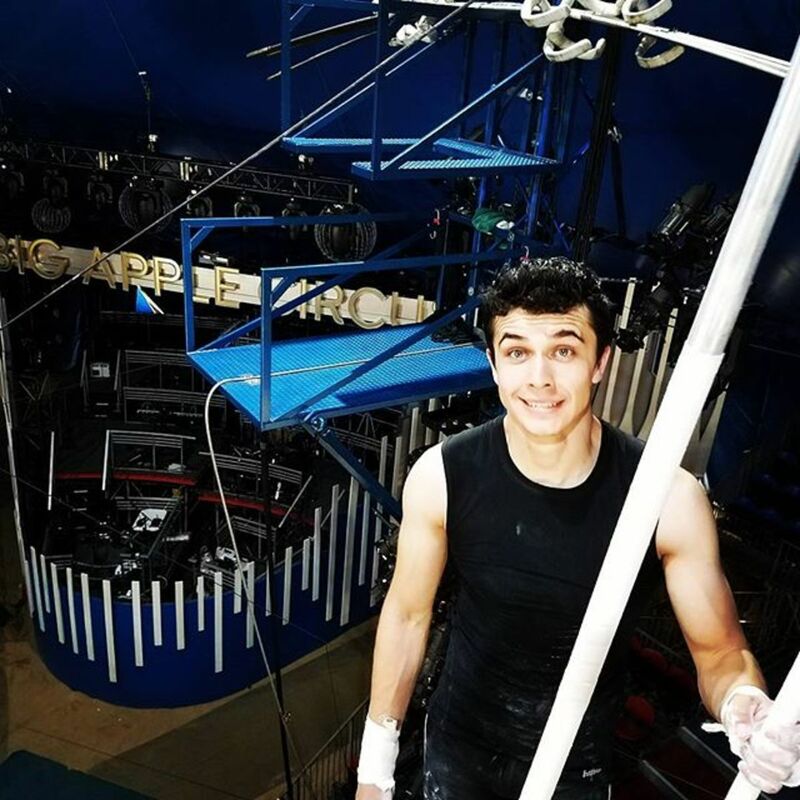 Ammed Tuniziani, the youngest of the five Garcia brothers, is happy to have his family nearby; two of the men also perform with Big Apple Circus. 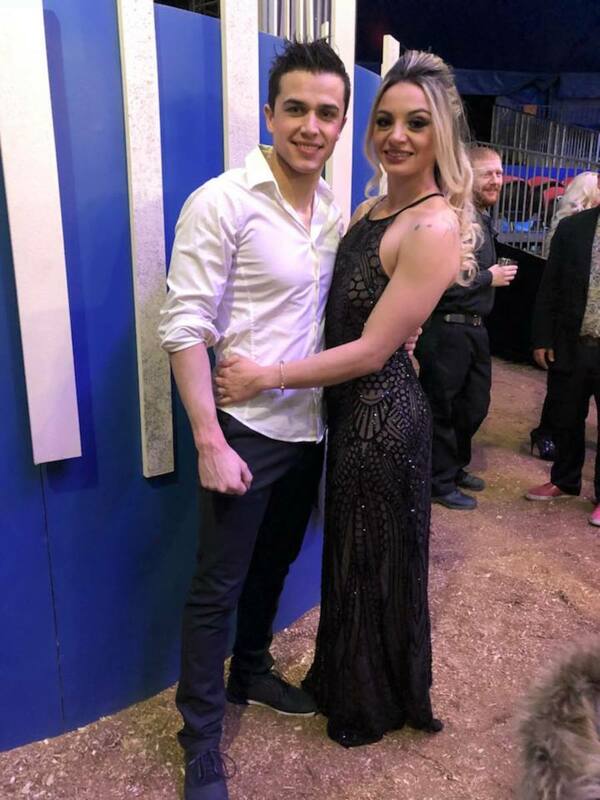 “My oldest brother, Dandino Garcia, does a roller skate act with his wife, Luciana. They’re up on a six-foot round table doing many acrobatic tricks while spinning around the platform. 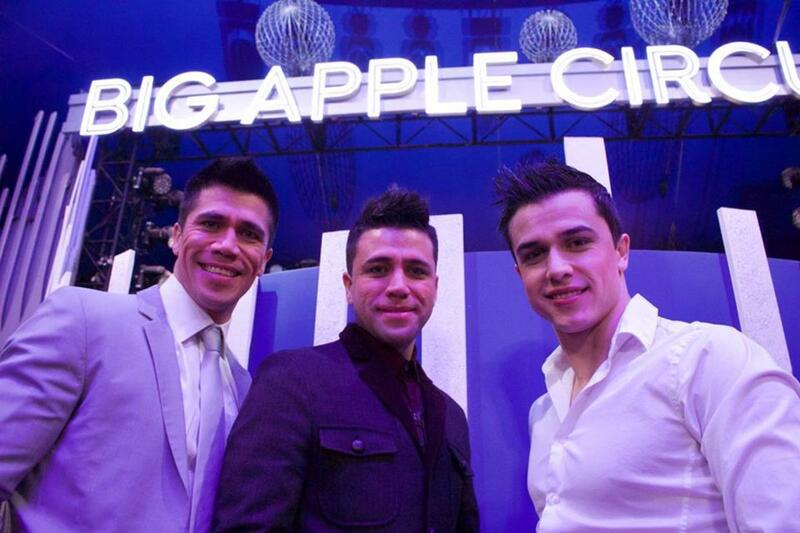 My brother Gamal (Garcia) is the juggler of the Big Apple show. 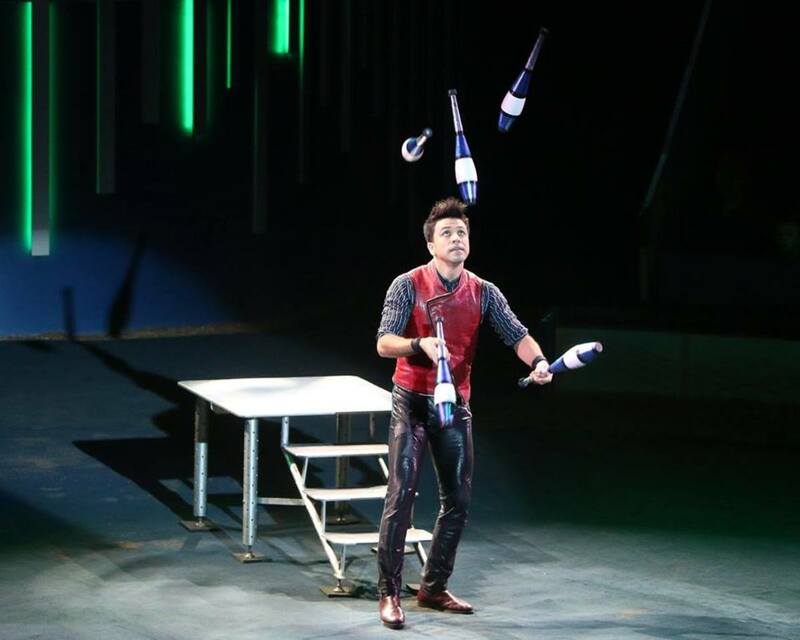 He juggles heavy clubs and bouncing balls over a three-foot high table, it’s an incredible act! “I also have two brothers who are living in Las Vegas; Abdon Garcia and Abdiel Garcia. They build circus materials and rigging. 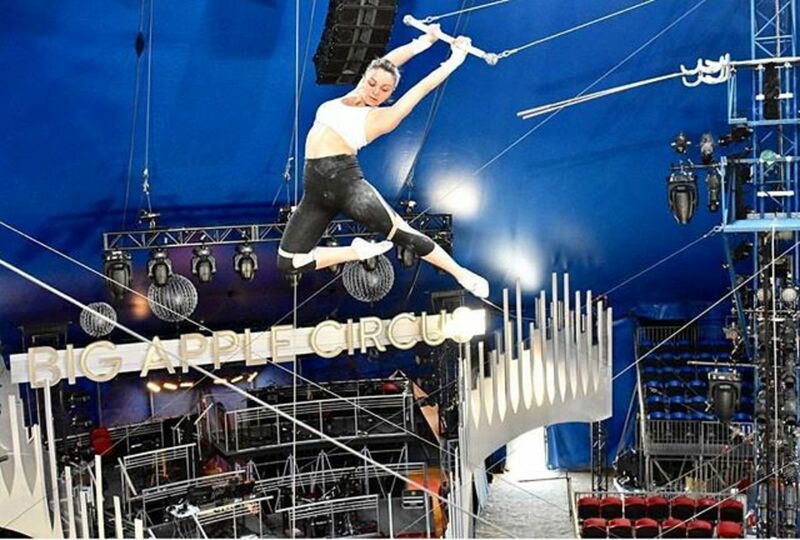 My brothers built the entire trapeze rig I use with Big Apple,” Ammed Tuniziani said proudly. “My parents live in Las Vegas, too, and they look after our home, which is also there. Whenever they can, they will come to visit us and have time with their grandchildren. I think sometimes they miss circus life, too,” Ammed said with a wink. The family Tuniziani has a busy lifestyle, especially on performance days. 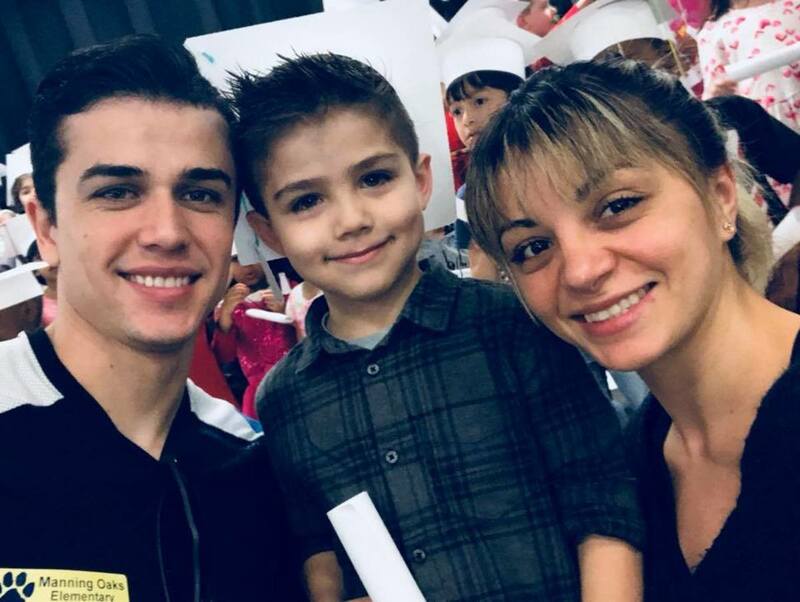 “Yes, Davi goes to public school when he can,” Estefani acknowledged, “but Alysha is too young right now. Sending Davi to public school is not easy because we have to look ahead in each city. But Big Apple helps us with the documents needed, such as letters to prove our address. "When we were with Ringling, they had a school for all the kids—it’s like that in some European shows—but in Central and South America, circus parents also have to find schools in each city they travel to. I appreciate that Big Apple helps us with this; it is my first time. My grandmother did it for my mom, and my mom did it for me and so now I do it for my children. Davi makes friends so easily in each city we visit. He loves to go to school,” Estefani said warmly. When necessary, the children are also home-schooled, says Ammed Tuniziani. "Sometimes the public schools are too far away from where we are at the circus, and it gets rather complicated to coordinate everything. We have a good home-school program. It's a little better because he (Davi) isn't so far away for such a long time especially if schools aren't in the neighborhood. We look at whatever works out best as it appears but so far we're liking it." “We usually have breakfast anytime from 10 to noon,” Ammed Tuniziani continued. “If we only have only one performance scheduled for the day, Stef and I will go to the gym for a workout; usually from about noon to 2 p.m. The Tuniziani family lifestyle varies somewhat when performances are scheduled during the day, or if there is more than one show (sometimes during the week but usually on Saturdays). Ammed Tuniziani injured his shoulder in August of 2014; the damage led to surgery in December of that year. “I had what is called a “slap” tear … part of the shoulder labrum,” he said. 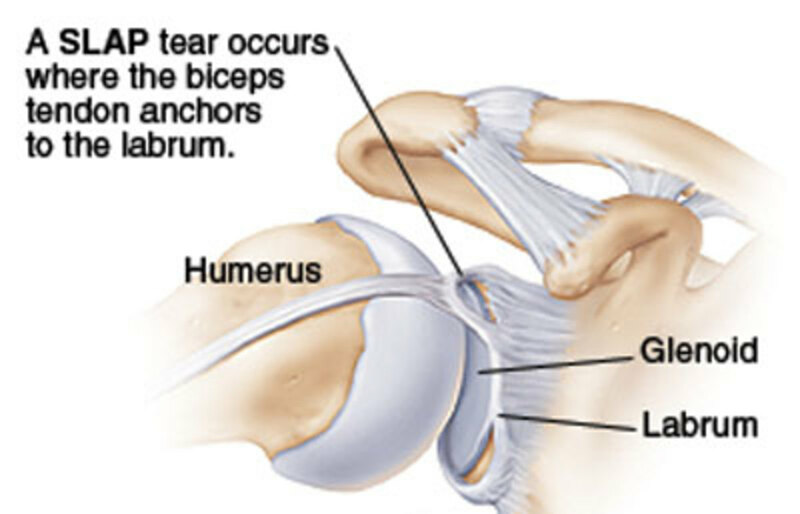 The shoulder labrum is a ring of cartilage around the socket that holds the upper arm. ‘SLAP’ stands for Superior Labrum Anterior and Posterior. The top area is also where the bicep tendon connects to the labrum. Surgery is necessary because these tears cannot heal themselves. On a personal note, because I recently had surgery on my shoulder (the result of a car accident), Ammed and I chat occasionally about his injury and rehabilitation. It continues to be a challenge for me but if this young man can turn four somersaults while flying through the air, surely I can better manage to hang up clothes and empty the dishwasher. Ammed Tuniziani says that any of us can achieve positive results, when dealing with this type of adversity. This SLAP tear shoulder injury has not stopped trapeze flyer Ammed Tuniziani from doing what he does best—check out the quad! There are only a few men in the world that have successfully completed the quadruple somersault. Ammed Tuniziani says they all learn from each other. Ever since Miguel Vazquez started the trend in the early 1980s, many more flyers have joined the ‘Quad Club.’ The list includes: Louis Caballero; Ruben Caballero Sr.; Ruben Caballero Jr.; Gino Fuentes; Richard Galvis; Juan Cebolla Gasca; the Luna Brothers; Michael Martini; Luis Poema; and Bruno Vargas. Recognizing special moments of ‘today’ is an important part of life; it is easy to get caught up in our daily routines and not absorb the magic of what is happening around us. For Ammed Tuniziani, being on top of the world and doing what he loves best is never taken for granted. And, that it truly is. Keep flying, my friends, your dreams are 35 feet straight up. 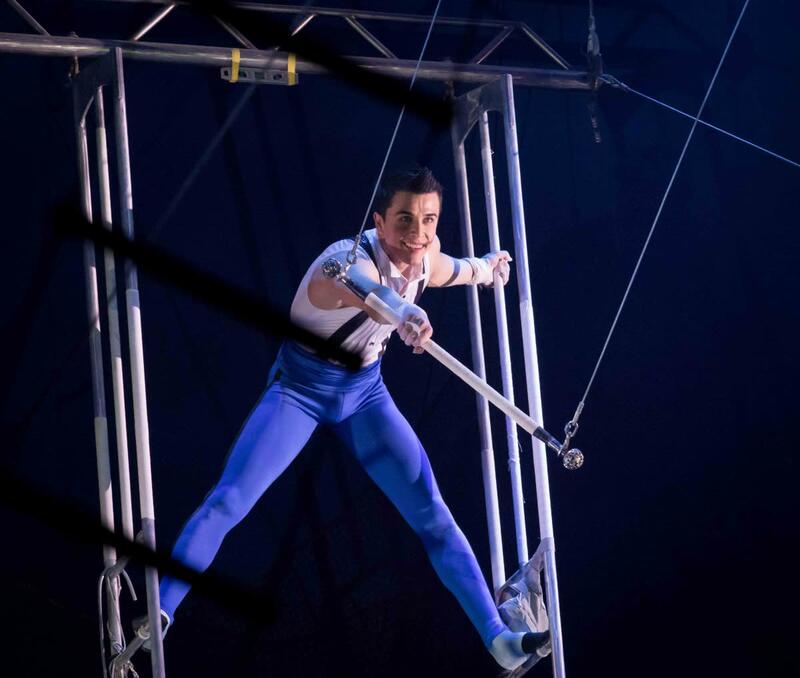 To see Ammed and the Flying Tuniziani in person, check out the Big Apple Circus tour page. 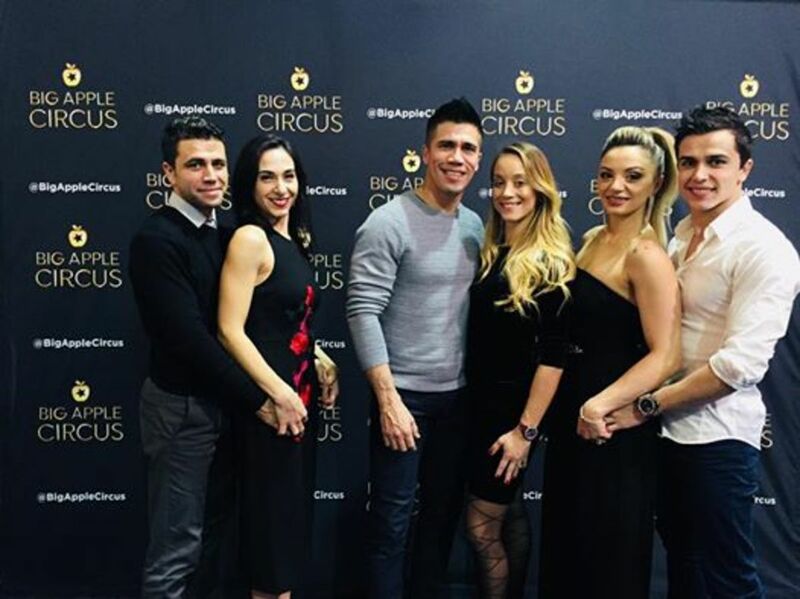 In addition to Dandino (and Luciana) Garcia’s roller skating act and Gamal Garcia’s juggling, the Big Apple show features wire walkers Nik Wallenda and the seven-man Wallenda pyramid; animal trainer Jenny Vidbel and her liberty horses; contortionist Elayne Kramer; and aerialist Erendira Wallenda.